It has been a whirlwind of a spring and summer this year! 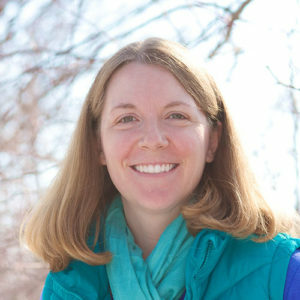 All over the World, U.S. Military Families have been “on the move” participating in what is known as PCS Season (or Permanent Change of Station time). Drive onto any military base and you’ll see moving vans, boxes, and children trying desperately to rid themselves of built-up energy as they prepare for their trek from Point A to Point B. As for my Army family, we closed on our house in late April, spent three months living in a hotel, traveled from Maryland to Alaska, and finally settled into our new home this past Monday. My two little boys are now completely desensitized to the nostalgia of staying in a hotel…and breakfast buffets, forget it, I never want to see another chafing dish full of powdered eggs in my life! With so many changes occurring in our lives, I wanted to find a way to talk to my children (and all children) about money! With issues at the forefront like: bank accounts, wants/needs, savings, and hotel stays, I thought this would be a great opportunity to reach out to them. 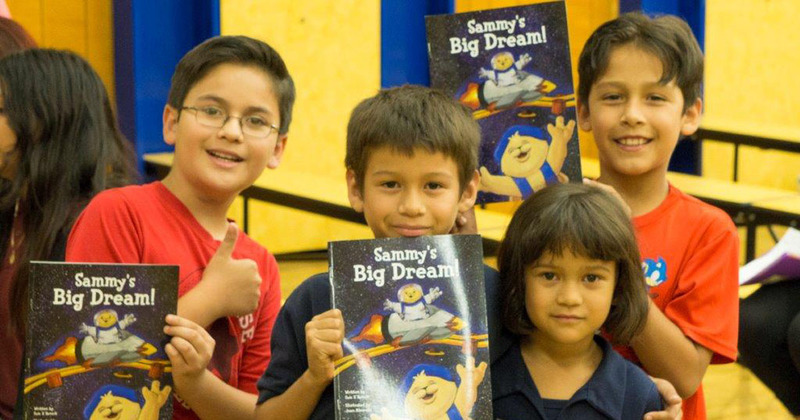 During the last seven weeks of our time in Maryland, I came across two fantastic books called “It’s a Habit, Sammy Rabbit!” and “Sammy’s Big Dream” both by Sam X Renick. With the help of these simple, yet effective, stories (and Rabbit), I was able to develop a 35-45 minute financial presentation targeted for preschoolers and elementary students. I crafted and built lots of fun visuals including a wants/needs chart, a “For Hire” sign that led to one participant doing a “job” for me and earning some money, and a money tree complete with lots of “leaves” thanks to The Dollar Tree and their play money set. I have to tell you, I had an absolute blast giving this presentation to the kids! In total, I gave 11 presentations, reached out to nearly 250 kids (ranging in age from 3-9 years old), and received lots of hugs and high-fives in return. My copy of “It’s a Habit, Sammy Rabbit!” is literally falling apart at the seams…that’s how often I’ve read it lately! 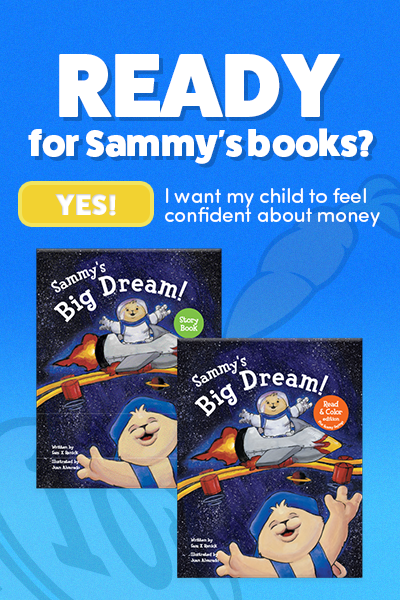 My presentation always concluded with a reading of one of the two books (NOTE: “Sammy’s Big Dream is quite a bit longer and really targeted for older children), as well as a playing of the video/song “Get in the Habit, with Sammy Rabbit” which is on YouTube. WARNING: this song absolutely gets stuck in your head; however, the kids loved it and got to their feet and danced to the beat! Truly a fun way to end the presentation. He just looked at me, nodded his head and winked!